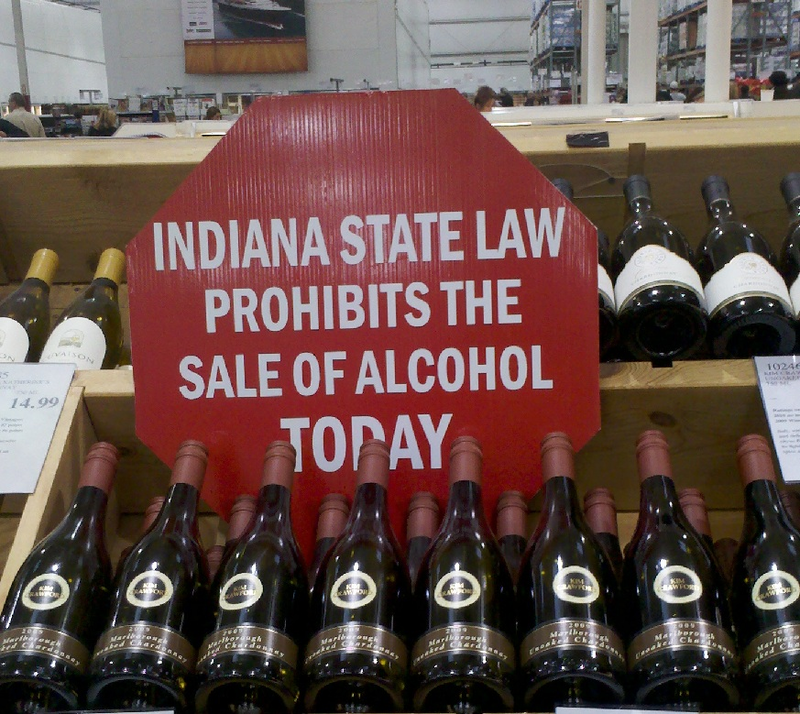 We saw this sign at an Indiana Costco. Prohibiting the acquisition of alcohol on one calendar day out of the week strikes me as strange, but I am glad that Costco put out the signs. If Walmart had the same policy as Costco, I might have been saved the embarrassment of being denied the purchase of a six pack of Blue Moon at the register. I guess I'll have to stock up on Blue Moon (for me, buy a six pack) another day.